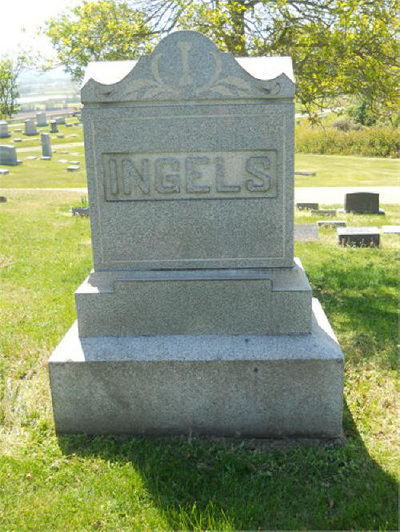 Death Removes Oldest Member Of Ingels Family. Wm. V. Ingels Kept Active Until His 87th Birthday. Death of William Vanden Ingels removes a familiar figure, a useful and respected citizens, and the scion of an outstanding pioneer family. The end came at 1:15 Thursday afternoon at the Holzer Hospital and yesterday's paper carried a few lines about his passing. Mr. Ingels had entered the hospital on Wednesday, June 5, his 87th birthday for treatment for a prostate obstruction. Two or three days later pneumonia developed and hopes for his recovery faded fast. Prior to his last illness he appeared to be as active and alert as the average man of from 65 to 70 years. As a farmer, former teacher, and long active participant in county politics Mr. Ingels was known throughout the country. He was born June 5, 1853, the son of Jesse and Mary Waddell Ingels. His birthplace was on Raccoon below Northup, on a farm embracing 960 acres and extending over the junction point of Green, Clay and Harrison tps. He was an older brother of Jasper Clayton Ingels, banker, who died in December, 1934, and was a lineal descendant of Mary Draper Ingels, as glamorous a pioneer figure as Dan'l Boone or Ann Bailey. On Sept. 4, 1878, Mr. Ingels and Ruie Beardsley were united in marriage by Rev. John W. McCormick. They made their home in what has been called the Wigner or Alexander community of Green tp. Mrs. Ingels died some years ago. They are survived by one daughter, Miss Lola, who has presided over the home since her mother's death. A son, Fred, died when in his teens. Also surviving are these brothers and sisters: Jesse Franklin Ingels, Jacksonville, Florida; Bert H., Raccoon Island; Herbert Ingels, Grand Junction, Colorado; Mrs. Victor J. Niday and Mrs. Lida Blazer, both of Gallipolis. 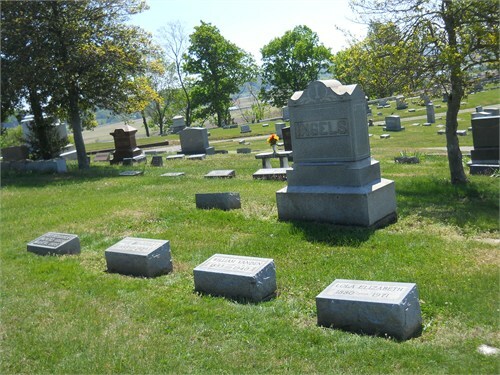 Two sisters preceded him in death, Mrs. Sallie Clark and Mrs. Ella Poole. Mr. Ingels taught school for 48 years. He was also an active member of the Alexander church for a long period. Funeral services will be held at the home at 10:30 Sunday, in _________________.